If you’re a child who grew up in the United States, chances are that either your parents or grandparents had a vintage Raggedy Ann or Andy doll that you played with when you were little. 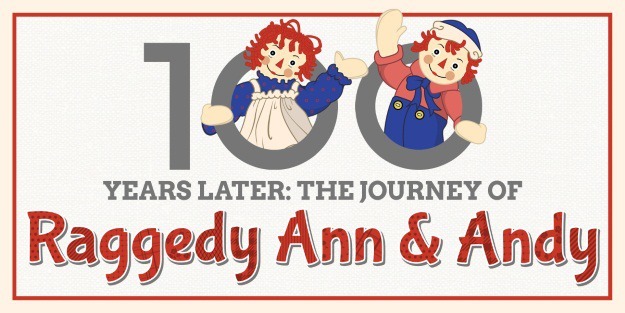 The red-haired, triangle-nosed doll has been around for 100 years now and to celebrate her centennial birthday, we put together this infographic showing all of her designs through Raggedy Ann history. There are more than you think! Since 1918, Raggedy Ann has had a lot of changes, both in appearance and manufacturer. We hope you enjoy this nostalgic look at the classic toy!